Becnel, Thomas A. 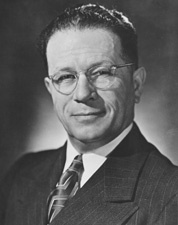 Allen J. Ellender, Consensus Politician. Louisiana History 32 (Summer 1991): 229-38. ___. The Ellenders: Pioneer Terrebonne Parish Family, 1840-1924. Louisiana History 26 (Spring 1985): 117-27. ___. Fulbright of Arkansas v. Ellender of Louisiana: The Politics of Sugar and Rice, 1937-1974. Arkansas Historical Quarterly 43 (Winter 1984): 289-303. ___. Louisiana Senator Allen J. Ellender and IWW Leader Covington Hall: An Agrarian Dichotomy. Louisiana History 23 (Summer 1982): 259-75. ___. Senator Allen Ellender of Louisiana: A Biography. Baton Rouge: Louisiana State University Press, 1996. U.S. Congress. Memorial Services, Held in the Senate and House of Representatives of the United States, Together with Tributes Presented in Eulogy of Allen J. Ellender, Late a Senator from Louisiana. 92d Cong., 2d sess., 1972. Washington: Government Printing Office, 1974. U.S. Congress. Tributes to the Honorable Allen J. Ellender of Louisiana in the United States Senate: Upon the Occasion of His Eighty-first Birthday. 92d Cong., 1st sess., 1971. Washington: Government Printing Office, 1971.